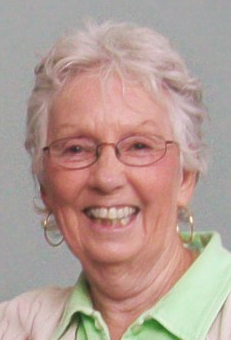 AUBURN – Nancy H. (Howe) Wheeler, 80, died peacefully on Friday, April 5, 2019. She was predeceased by her husband, James R. Wheeler who died in 2018. She is survived by two daughters, Pamela H. Etheridge of Harrisville, RI, and Kimberly A. Sterczala of Charlton; two sisters, Janet Howe of Kittery, ME, and Carol MacLeod of Kennebunkport, ME; and six grandchildren, Haley, Kalen, Andrew, Emily, Alix, and Cassidy. She was born in Framingham, daughter of the late Frank I. and Elsie M. (Johnson) Howe, and lived in Kennebunkport, Wareham, and Mattapoisett, before moving to Auburn two years ago. Mrs. Wheeler was a librarian at Kennebunk Public Library before retirement. Previously, she worked for the Foster Grandparents Program at the YWCA in New Bedford, and was a librarian at the Wareham Public Library. She enjoyed the ocean, sitting in the sunshine, LL Bean, playing bridge, and always loved a good book. Memorial calling hours are Friday, April 19, 2019, from 4:30-6:30 p.m. at Paradis-Givner Funeral Home, 357 Main St., Oxford. A celebration of her life will be held from 1-3 p.m. on Sunday, May 19, 2019, at Nonantum Resort, 95 Ocean Ave., Kennebunkport, ME. In lieu of flowers, memorial contributions may be made to the American Parkinson Disease Association (APDA), 72 East Concord St., C3, Boston, MA 02118 or to the Susan G. Komen Breast Cancer Foundation, Massachusetts Affiliate, P.O. Box 845037, Boston, MA 02284-5037. There's still time to send flowers to the Celebration of Life at the Nonantum Resort at 1:00 PM on May 19, 2019.